You’re probably wondering why am I using the word “mad” in connection to “faith”. The word “mad” is commonly used in New York City. The urban dictionary defines “mad” as “extreme” or “a lot”. I decided to connect the two; mad faith. I’ve been thinking madly about faith. What makes one have more faith than another, and that sort of thing. My desire has been ever increasing for my faith to be authentic. In Christendom, I see many chasing after signs, wonders, miracles and manifestations, to the point of idolatry. I’m not judging, but merely making an observation. Truthfully, I used to be one of those people. I would chase after God here, there and everywhere. I was seeking some kind of sign or experience and chasing after Him as if He couldn’t be found. Frankly, I had it all wrong. It sort of reminds me of Moses, when He went up to the mountain to get the Ten Commandments and left the people behind. In time, they all started making physical idols to worship instead of worshipping the God who miraculously parted the Red Sea and delivered them from the Egyptians. What is it in us that inclines us to chase after other gods, instead of Him? Why are we restless and unsettled in our faith? Why must we chase after experiences? Why isn’t Jesus enough? These are the questions which gnaw at me daily. I don’t have the answers. All I know is that I’ve already tried it all. I’ve traveled around the world in search of Him. I am certain of this, it is not by signs and wonders that our faith increases, not in the least. I tell you this from personal experience. This doesn’t deepen our faith. One thing that does though, is adversity. My faith was strengthened, when I shook with fear, felt hopeless, thinking God wasn’t going to deliver me out of something, and He did. To me, that’s miraculous. Not manifestations of angel feathers, gems or gold dust appearing at some gathering, where the attention turns to man and not God. This is where the confusion begins. Everyone starts worshiping and idolizing the creation instead of the Creator. The credit for these so-called manifestations becomes attributed to man, instead of God. If something is going to take the focus or pull you away from God, you should run the other direction and don’t look back. I’m sharing what I’ve gleaned from all of the mistakes I’ve made in my life. I’m not claiming to be an expert or have it right. I’ll be the first to tell you I don’t have all the answers. All I know is my heart longs for the authentic. For the living God of this universe to be real and present in my life. I don’t want my desire for signs, wonders, miracles and manifestations to take precedence over Him. He already gave and did it all by dying on the Cross for me, what more do I want? 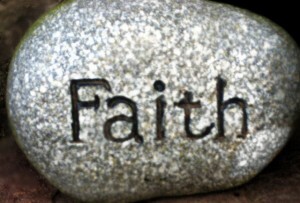 I want to have mad faith which is undeniable and unshakeable. I want to experience more of His love and presence in my life. Not experiences, sensations, imitations or cheap substitutes. The real deal.